Sheetmetal Tooling Tech supplies brushed dies from Wilson Tool designed to prevent sheet marking and improve finish. The brushed dies are designed to allow the sheet to ride smoothly over the die’s surface, keeping marking to a minimum. Made of hard-wearing nylon, the brushes can be shimmed off as they wear. The brushes are easy to replace too when they completely wear out. 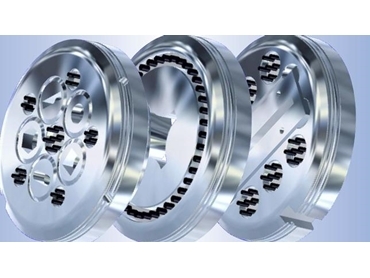 Brushed dies reduce wastage because the machine can be run with the vacuum on, even when punching extremely thin materials. Most types of die including multi-tools are available with brush inserts for machines that use Trumpf style tools.